DigitalNZ brings together more than 30 million items from institutions such as Te Ara - The Encyclopedia of New Zealand, Ministry for Culture and Heritage so that they are easy to find and use. We added this one from this URL on 30 April, 2013, and last updated what we know about it on 05 July, 2016. 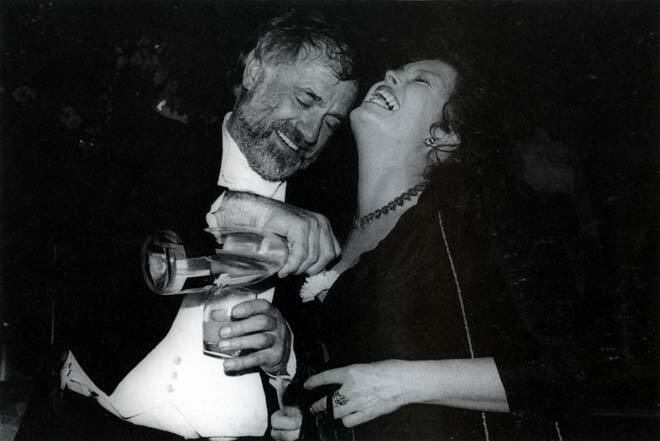 A merry man tips wine down a laughing woman’s cleavage at the My Fair Lady ball, held at Auckland’s Aotea Centre in 1990. The image supports Auckland’s national reputation as New Zealand’s most flamboyant and brazen city.